Many mobile apps offer a poor user experience! There are many different reasons why users start to be annoyed about your company's mobile applications. The need to support more than 10K of heterogeneous hardware types that differ in language resources and layout resolutions is a tough challenge today that quickly can lead to a crashing app release. App crashes and slow user actions definitely will have a direct impact on your apps marketplace ratings. This webcast led by mobile monitoring and development expert Wolfgang Beer will present you with different metrics and methodologies to monitor mobile app crashes and user action performance. Wolfgang Beer works as a technical product manager at Dynatrace Ruxit. In his current role he is responsible for designing and delivering mobile app monitoring solutions within Ruxit. He has been working as a research team lead for more than ten years and co-authored several books and scientific articles on software development, analysis and engineering. 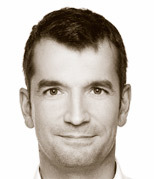 In his spare time Wolfgang develops and publishes mobile apps and embedded software.